it is in creasing and an under recognised issue. This may be linked to using alcohol as a way to help cope with abuse because women and girls experiencing domestic violence sometimes turn to alcohol or drugs as a response to, and an escape from the violence. According to the Women's Aid website, almost half of Asian women seeking treatment for alcohol misuse are experiencing domestic violence. Women and girls dependent on alcohol are likely to be even more vulnerable because it will be harder for them to report domestic violence because they may feel a sense of shame because of the stigma of being an 'alcoholic' - a stigma that is even more pronounced in the Asian / Muslim communities. Also some women and girls are introduced to substances by their abusive partners as a way of increasing control over them e.g. as in grooming and sexual exploitation. Physical Signs - withdrawal symptoms such as: sweating, shaking, and nausea. Psychological Signs - finding it difficult to enjoy yourself or relax without a drink. 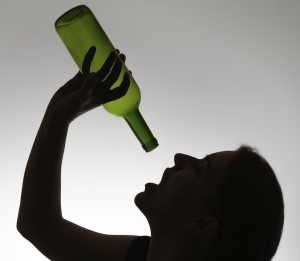 Physical Impact - Alcohol dependency can lead to serious health problems e.g. high blood pressure, stroke, heart disease and liver damage. The most serious form of liver damage is cirrhosis, which means the liver is prevented from working properly and can lead to liver failure and death. Psychological Impact - Alcohol dependency can lead to mental health problems such as anxiety, depression and suicidal feelings. Social Impact - Alcohol dependency can affect your relationships with your partner, family and friends. it can also lead to financial problems e.g. not performing well at work and losing your job or spending excessive amounts of money on buying alcohol. Some people even turn to crime to sustain their addiction if they cannot afford to buy it. If you think that you may be addicted to alcohol or are worried that someone else is, then seek help before it is too late. You can visit the GP or contact the organisations listed below. You can also find an alcohol addiction treatment service on the NHS website here. The MWN Helpline can also try and find a culturally sensitive service for you and other forms of help depending on your situation. Phone: Is the only national umbrella organisation working specifically with and for families affected by drugs and alcohol. Phone: 020 7403 0888 Provide support to anyone whose life is, or has been, affected by someone else’s drinking, regardless of whether that person is still drinking or not. Phone: 0845 769 7555 Concerned solely with the personal recovery and continued sobriety of individual alcoholics. Phone: 020 8521 5223 Offers counselling and complementary therapies for Asian, African and African Caribbean people with emotional problems, domestic violence problems and problems with alcohol. It also offers a support group for women and couple and group counselling. Address: Low Hall Lane, Walthamstow, London, E17 8BE. Phone: 0121 4509650 The project works with the Punjabi Sikh Community in Birmingham ro reduce the harms caused by alcohol misuse for affected individuals and families. Phone: 020 7093 2669 Offers a truly integrated system ranging from education and brief intervention for non-problematic drinkers, to community detoxification and pathways into residential rehabilitation for dependent drinkers. Drop in Sessions every Wednesday afternoon between 2pm-4pm and Thursday morning between 10am-1pm (Clients can attend the project without an appointment or referral). Address: 22 Skylines Village, Limeharbour, Docklands, London, E14 9TS.